Activate your own existing device or choose from our wide selection of popular phones! CHOOSE YOUR FAVORITE WIRELESS MOBILE COMPANY! Don’t be limited to just one wireless choice like with other company plans! CHOOSE A LOW COST MONTHLY PLAN, NO CONTRACTS! *Colors represent the four major U.S. mobile telecom companies. JOIN NOW AND RECEIVE A FREE MOBILE WALLET ACCOUNT! 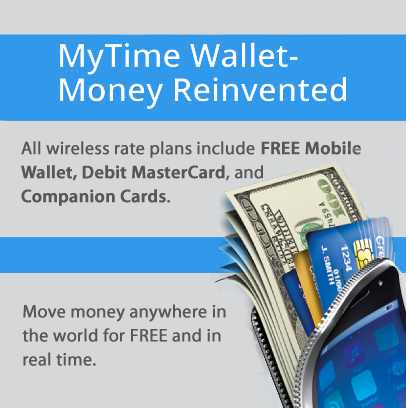 Are you looking to stay or to become more value conscious when it comes to your cell phone plan? Whether you want to be in control of your future with a no-contract cell phone plan or you are tired of dealing with all of the hassles a contract tangles you in, a BYOP (bring your own phone) plan may be exactly what you need. It is a great option if you’re looking to save money, to get the same service you previously had and to stay out of a phone contract. Plus, if you love the phone that you already have, why find a new one to replace it? Mobile phone carriers have a complexity to them that many folks would like to avoid. The pricing schemes out there are expensive and not worth the money, which is why we have plenty of bring your own phone plans that you’ll love. From $5 to $45 a month, you can gain access to S – Network. Enjoy our most popular data/calls/texts S – Network plans at an affordable cost. Pick and choose which services best suit your needs. Whether that’s unlimited data/calls/texts, unlimited texts/calls or unlimited calls, you get to use your own phone on S – Network. From plans as low as $25 and as high as $65 a month, you can enjoy a working cell phone of your own on V – Network. Choose from popular plans which include 2GB of data and unlimited calls and texts, or go all in with unlimited data for a few more bucks. To get started on one of our V – Network plans, grab your phone, and give us a call! T – Network plans start from $5 a month with $50 a month being the most expensive. Bring your own phone and use it on the T – Network and enjoy 2GB of data in addition to unlimited calls and texts or opt for the unlimited data plan. Make sure you have your cell phone handy, and give us call to get started. From $25 to $65 a month, you can enjoy calling, sending texts and perusing your favorite websites on the popular A – Network. Choose between data plans that allow for unlimited calls/texts and some data or get all the unlimited data you could ever need. Grab your favorite cell phone, and give us a call today to enroll. Please feel free to reach out to us at 011 Communications to better understand the plans we have available to you. Remember, all you have to do is choose a low cost monthly plan without the hassle of any contract. Best of all, you can choose between your favorite wireless mobile company networks. Just be sure you activate your own existing device, or choose from our wide selection of popular phones at 011 Communications. Call now!